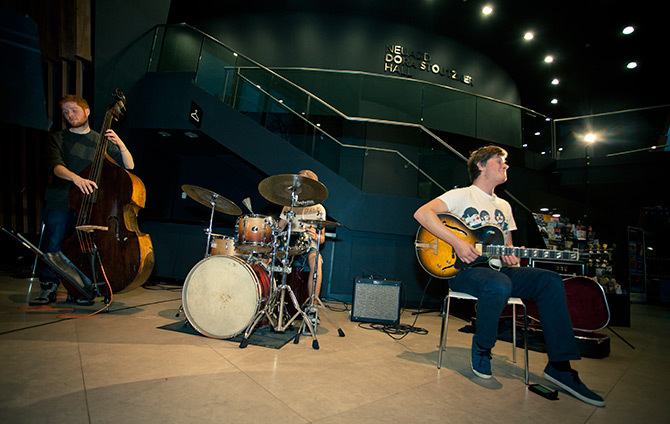 It’s day one of RWCMD’S Jazz Time Festival and some of the biggest names in jazz will be performing in venues throughout the College over the next three days. Following the success of RWCMD’s regular Jazz Time sessions and the Jazz Time tour, the three day festival will feature a rolling programme of performances by the College’s jazz students and the RWCMD Big Band alongside visitors including Norma Winstone, Neon Quartet and Neil Yates, the James Taylor Quartet. The Festival is an exciting opportunity for students to showcase their own work, whilst being immersed in a variety of music from some of the best and most influential performers in the business.